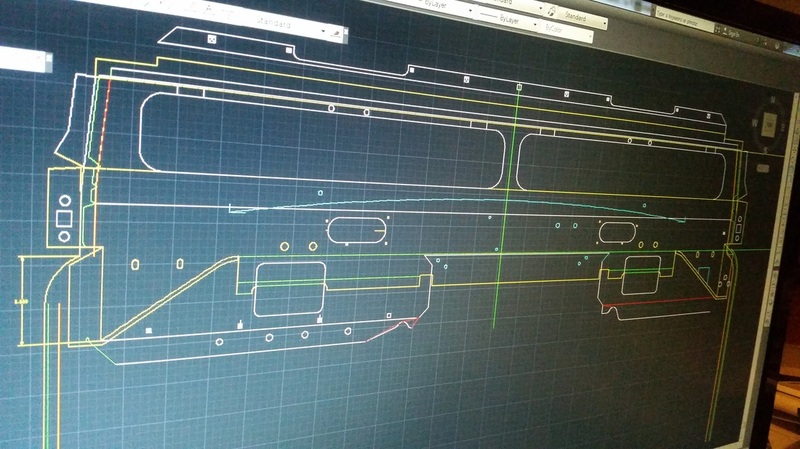 All the bulkheads and parts start off by being drawn on CAD, this ensures everything is as accurate as possible and gives us accurate measurements for cross reference. We produce our parts from laser cut steel which is then folded and formed to the correct shape. This includes the various hidden strenghteners, and the finished bulkhead would be difficult to distinguish from an original. Before assembly all internal parts are spray painted with a weld through primer to ensure that no part of the bulkhead in unpainted. We discuss the several finish options in the finishing section. Each bulkhead is built on a jig to ensure it is as accurate as possible, and in order to be confident that it will fit onto your chassis we have incorporated an adjustable bottom bracket. This is not an original feature, but we have been told that on the production line they would offer up a bulkhead to the chassis, and if and when it didn’t fit they would keep trying different ones until one did fit! 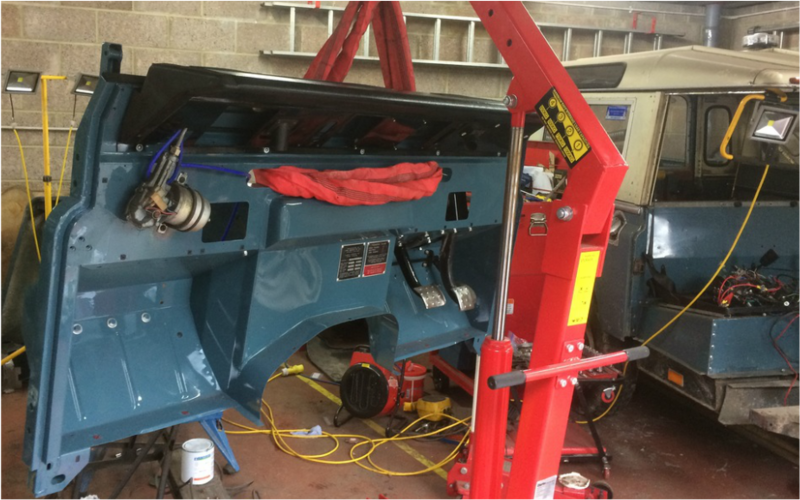 We don’t have that option, and especially as so many older Land Rovers will have had repairs done to their chassis, we felt that it was necessary to build in a little flexibility. The specific measurement that we start from is as used by Richards’ Chassis on their replacement series chassis, and we have a possible adjustment of 10mm each way, side to side.